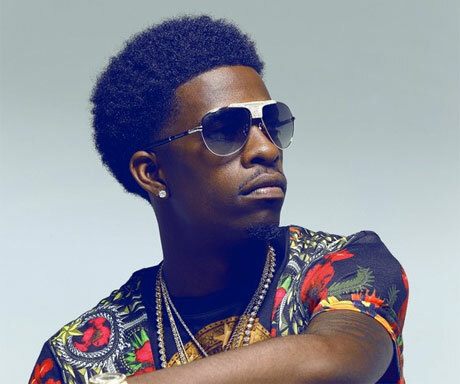 After building up some serious steam with a series of mixtape releases, rising Atlanta rapper Rich Homie Quan has confirmed his forthcoming studio debut will feature a big-time co-sign from Drake, among others. Though the bulk of the details on the as-yet-untitled LP have yet to be announced, Quan revealed in an interview with HipHopSince1987 that "Drake will be on the album, man." No further light was shone on the specifics of their team-up, though getting the two together on a track has apparently been in the works for a while. Last year, Drake told MTV that Quan's "Type of Way" was his song of the summer and had been contemplating a remix. Quan also said that he's trying to get Lil Wayne on the LP and confirmed that Lil Boosie and regular collaborator Young Thug will make appearances. Most recently, Quan and Thug delivered their tag-team track "I Got It," while Quan also alluded to a full-on collaborative project being worked on by the pair, which will be overseen by Rich Gang's Birdman. "We are putting out a project but it will be, I think, it's gonna come under Rich Gang," Quan explained, adding of the closeness between he and Young Thug, "I don't go to the studio if he not there. He don't go if I'm not there. That's how we move." Though an ETA for the Rich Homie Quan LP has yet to be set in stone, it's expected to arrive via T.I.G. Entertainment/Def Jam.